Keeping track of all of your WordPress websites can take up a lot of your valuable time. It’s very important to update WordPress regularly, both for the security and to take advantage of the latest WordPress features. But updating WordPress core and any plugins or themes can be cumbersome if you are maintaining multiple sites. WordPress management tools bring a launchpad for all your WordPress site logins and provide an easy way to manage updates for all your WordPress sites from one place. Instead of logging into each site individually, you have only one place to log-in for easy maintenance. Here are the list of best WordPress management tools for you. 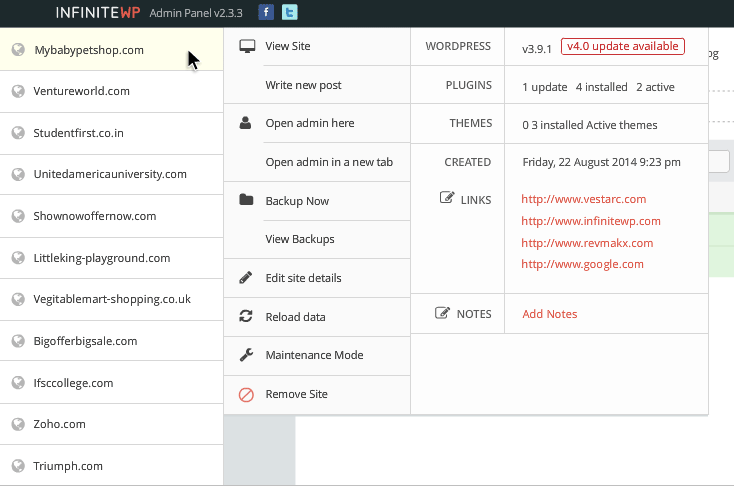 ManageWP is an ultimate online tool to manage all your WordPress sites from one dashboard – including updates, backups, security and more. 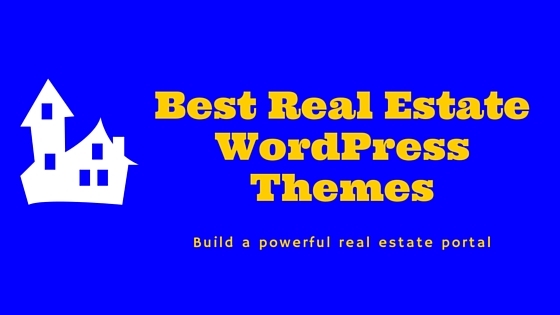 They are the leaders in WordPress management with over 300,000 websites managed remotely when writing this article. 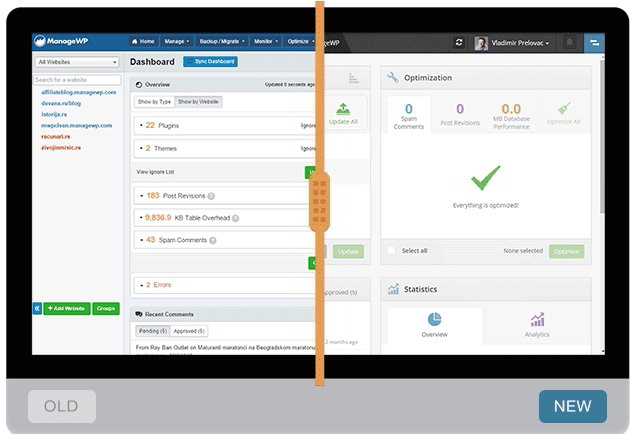 Maintain any number of WordPress websites with a click of a button. Be it updating WordPress installation, themes & plugins update, migration or database optimization, all the task can be done from easy to use managewp dashboard. ManageWP has released a major update from the ground and the team has worked on altogether a new intuitive, fast, and reliable website management tool called Orion. It is built to run backups of any website size reliably with minimum resource usage. InfiniteWP is a self-hosted and secure WordPress management tool. You can install InfiniteWP on your hosting server, easily add an unlimited number of WordPress websites and monitor. 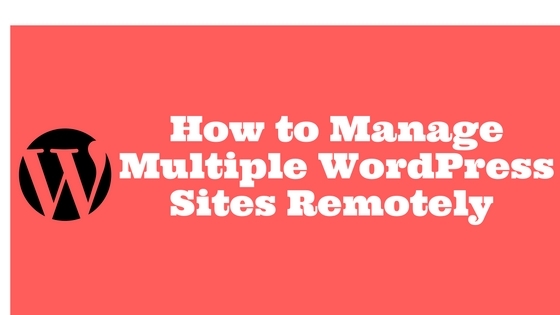 Having a self-hosted tool, it will put you in total control of your sites. MainWP is an open-source, most effective WordPress management and self-hosted WordPress central dashboard. A user can control virtually all aspects of WordPress site including updating, taking backups and restore etc. You are able to manage a unlimited number of sites from a single dashboard. iControlWP brings central dashboard to manage updates, security, and backups for your WordPress sites. With its high-end dashboard, one can easily keep upto date with their sites. It is completely a paid service which starts from $15/mo/10 sites. 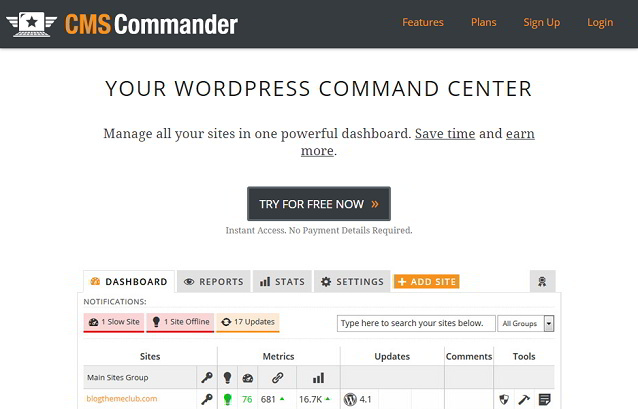 CMS Commander makes managing multiple WordPress sites much easier and faster with powerful tools to create content, 1-click updates, backups, easy restore, and clone. 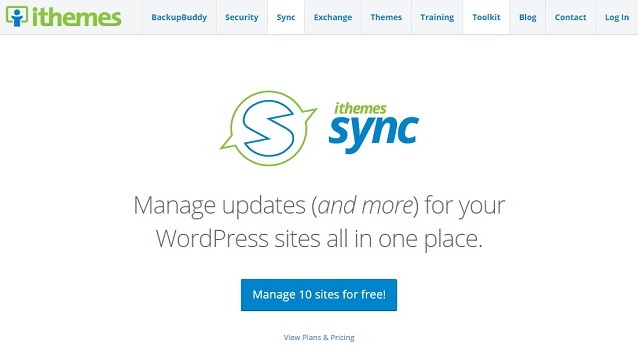 iThemes Sync provides an easy way to manage WordPress site updates from one place. 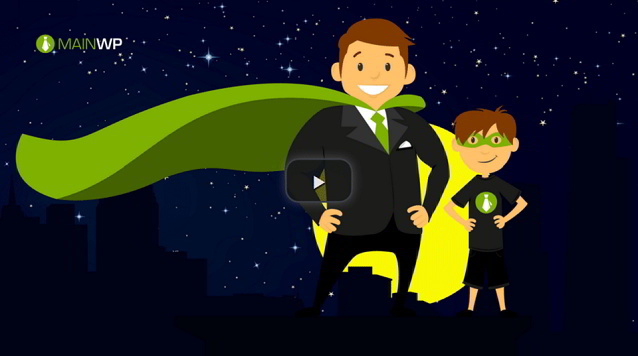 Sync offers FREE plan where you can manage up to 10 sites. Sync Pro offers additional features such as Uptime Monitoring, Client Dashboard, Client Reporting and more. The WordPress management tools that we’ve reviewed today all provide one-click update option making managing any number of WordPress sites a breeze. All the tools in this article offer a free account or a free trial. I recommend trying each option out, pay attention to what functionality each tool offer before you subscribe to any service. Finally, my favourite tool for blogger beginner is ManageWP. They offer FREE unlimited site management under a single account which also includes FREE monthly backup. Try InfiniteWP and MainWP if you are an advanced user and know how to install the package on your own server.